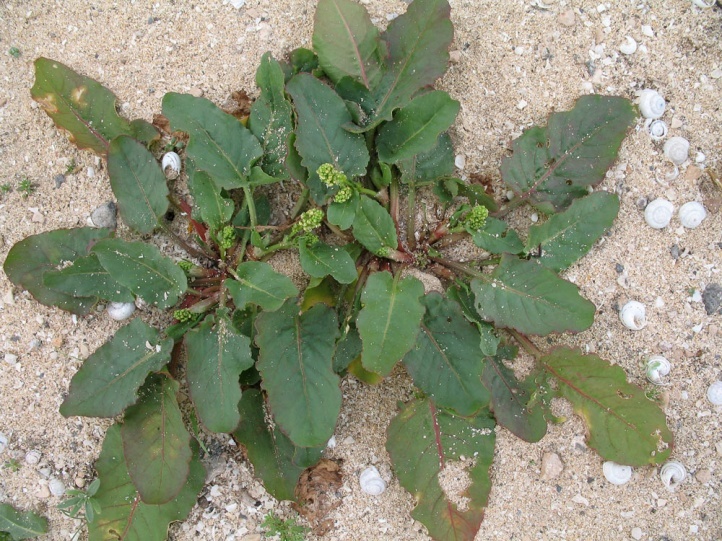 The species primarily uses Polygonaceae such as Rumex sp. 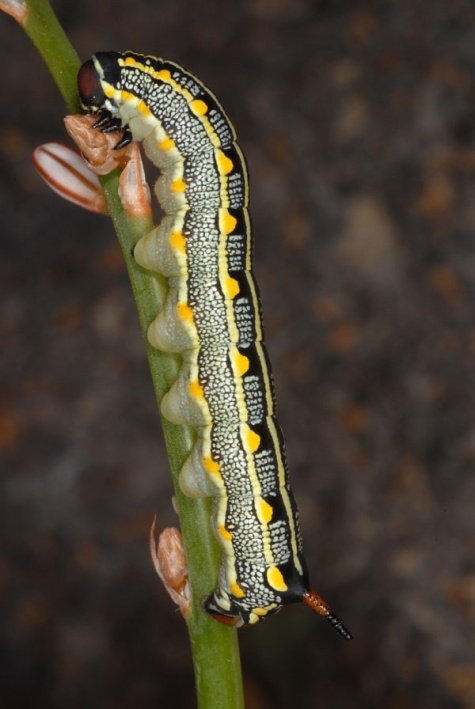 and Liliaceae as Asphodelus. 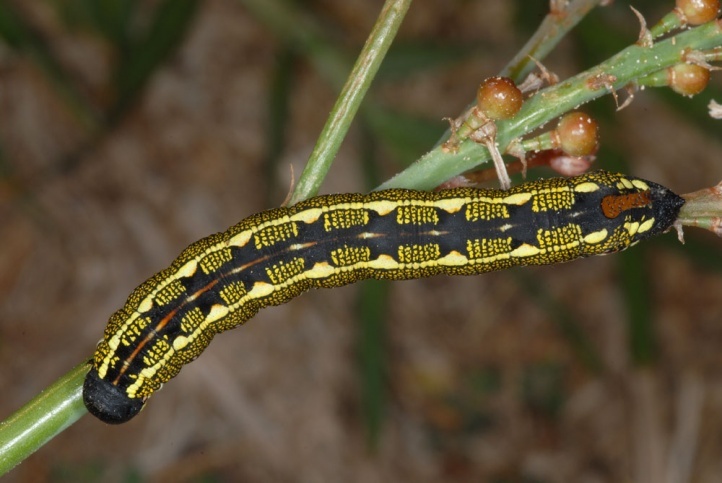 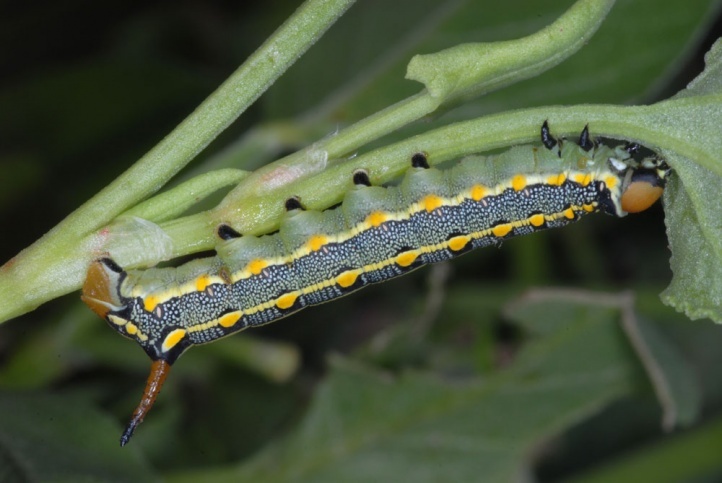 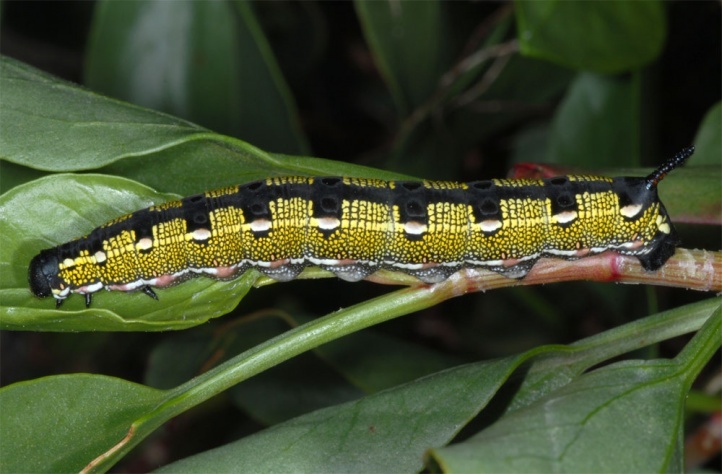 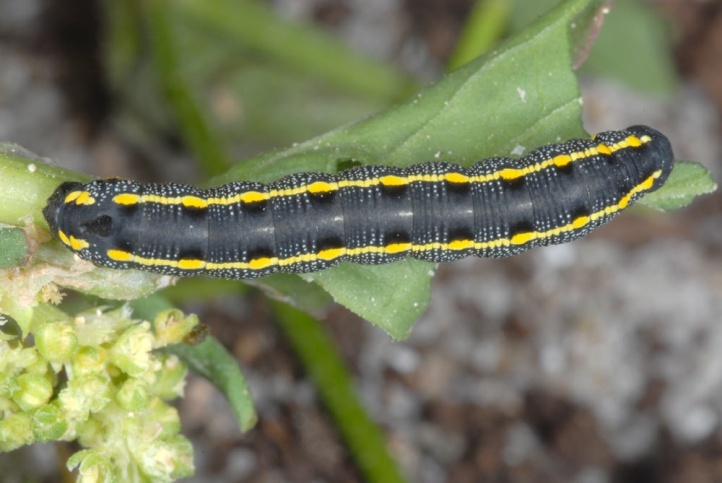 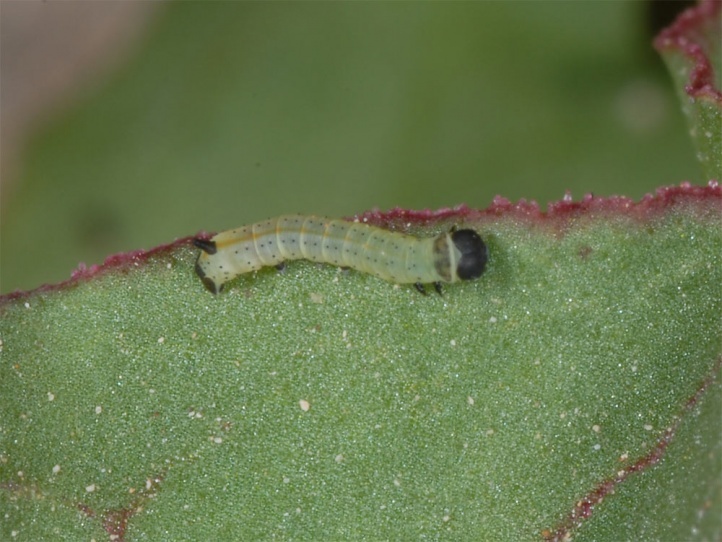 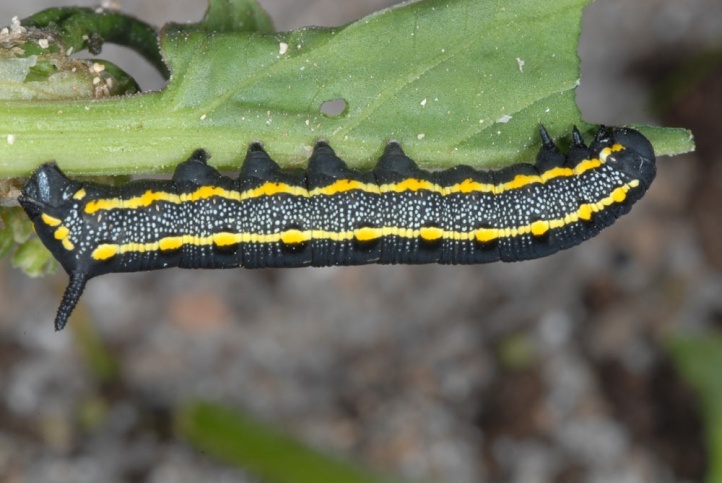 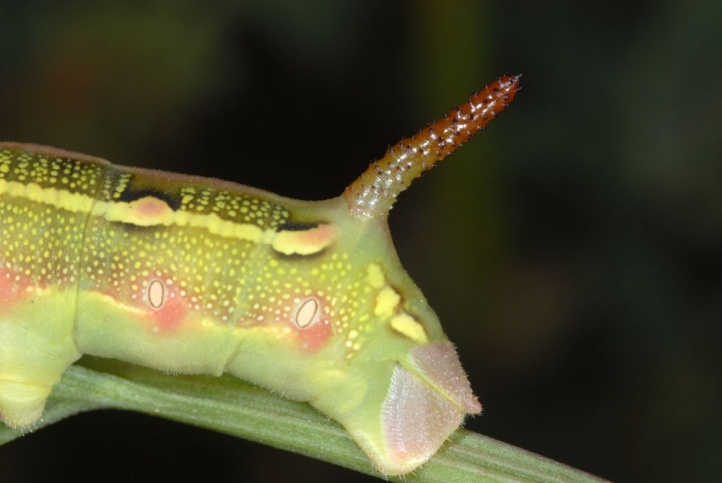 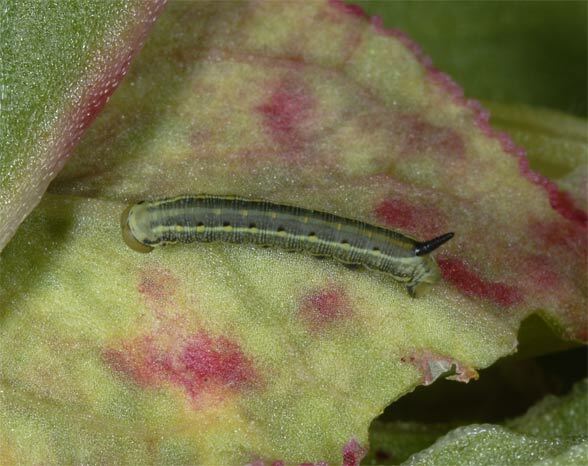 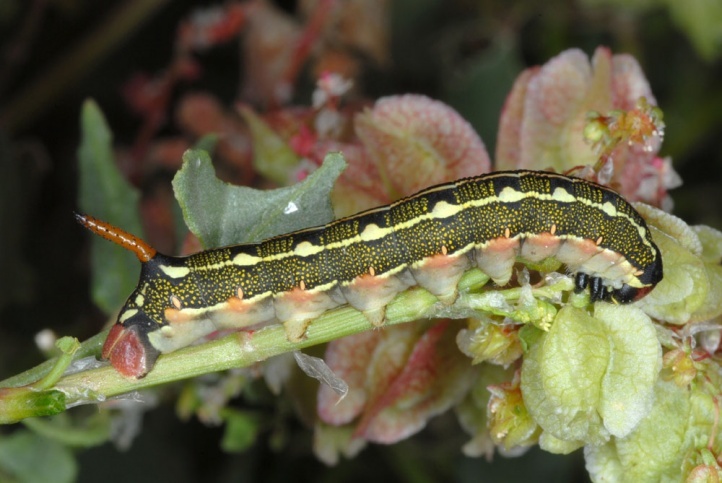 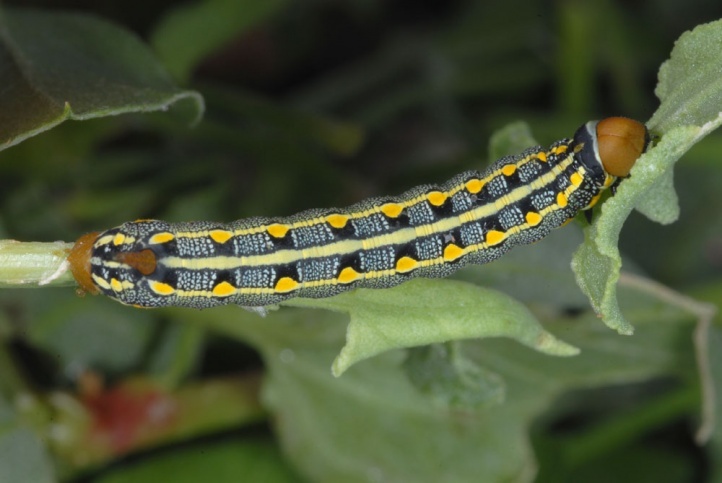 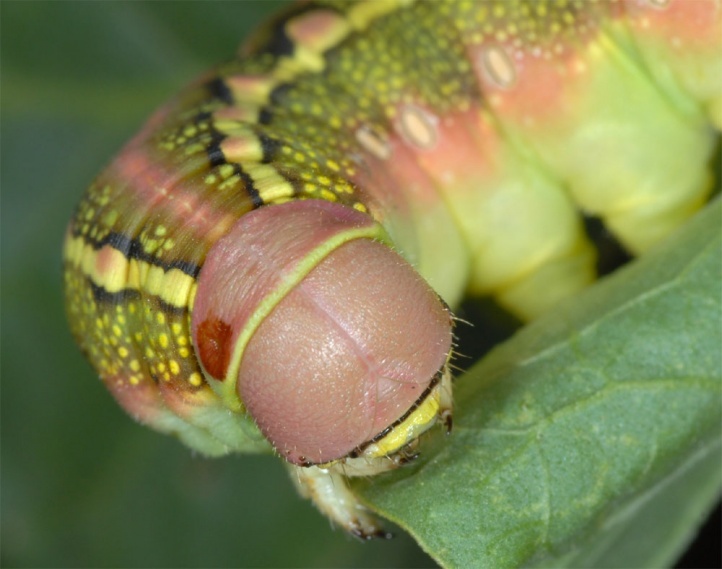 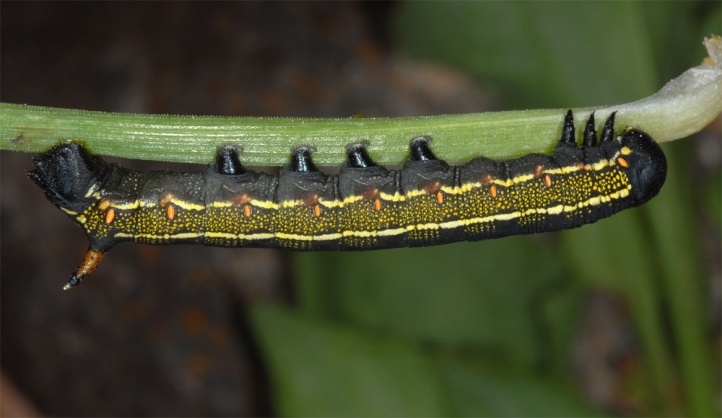 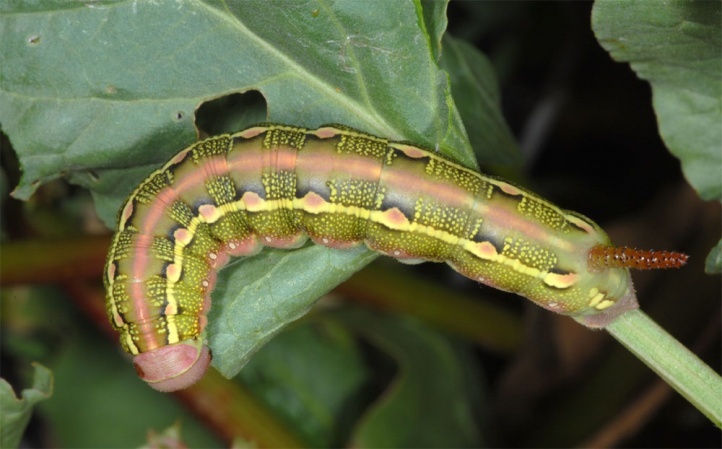 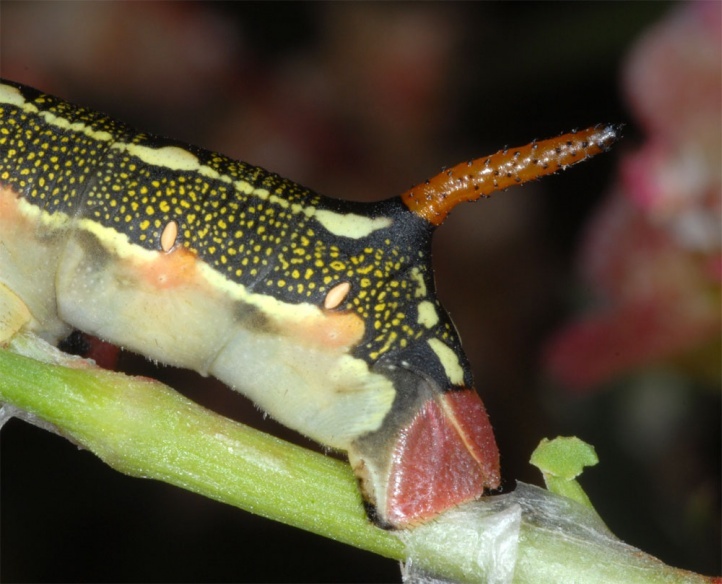 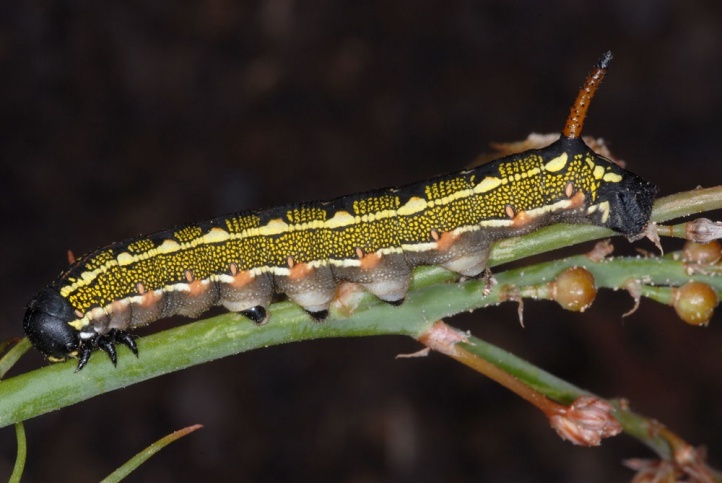 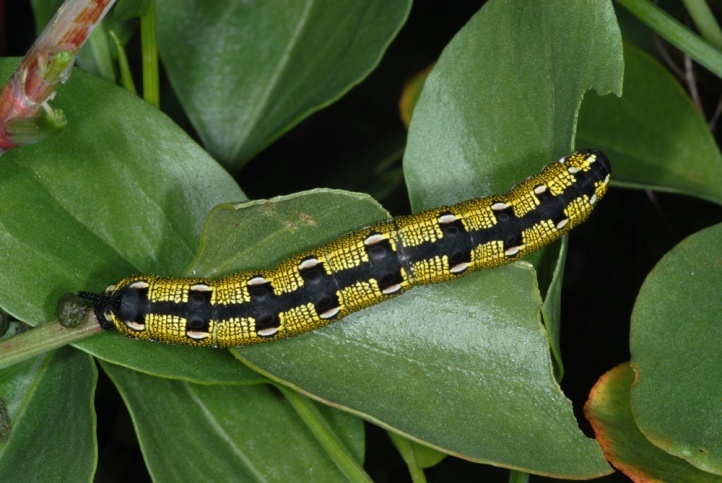 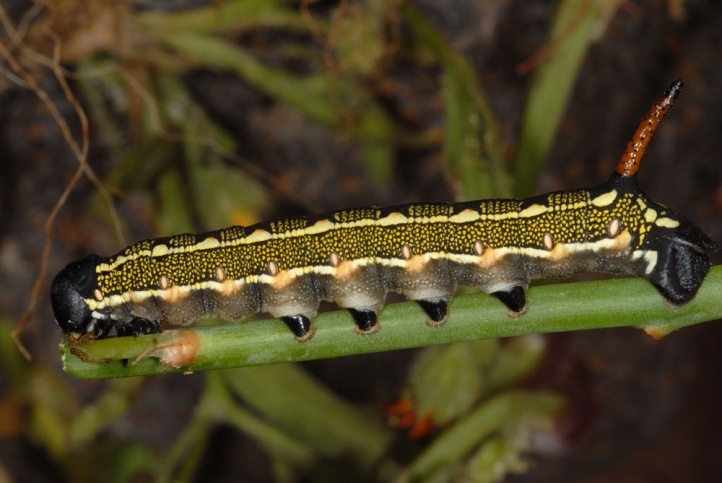 In addition, the caterpillars are found in varying extent also on many other plants: Antirrhinum, Galium, Vitis, Parthenocissus, Epilobium, Euphorbia etc. 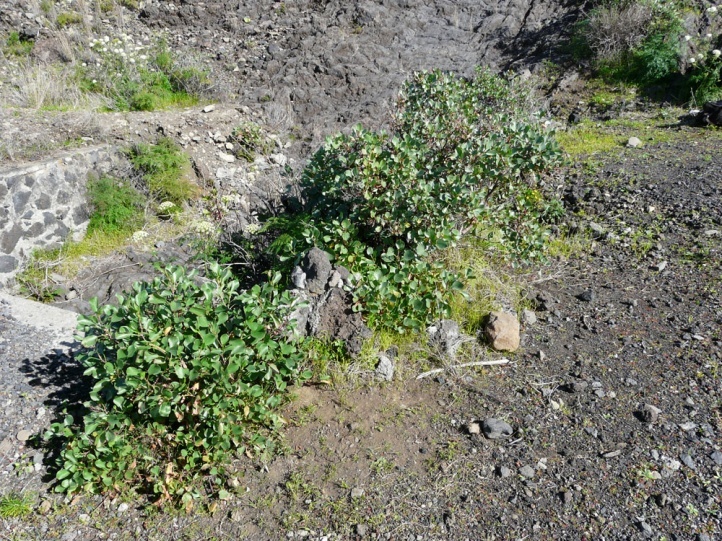 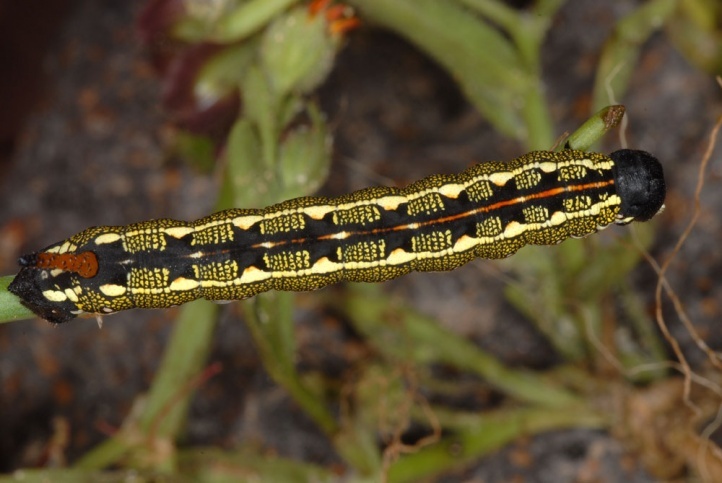 In February 2011 I found hundreds of caterpillars on stony ground on asphodel and in sandy areas more on Rumex in Fuerteventura in the Jandia Peninsula (Cofete, Costa Calma, etc.). 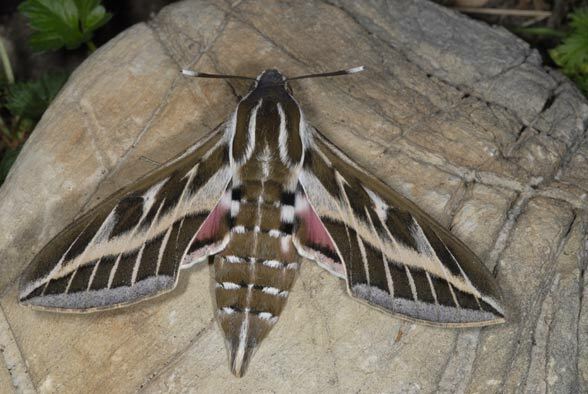 The butterfly is native only in semi-deserts and similar arid, rocky areas. 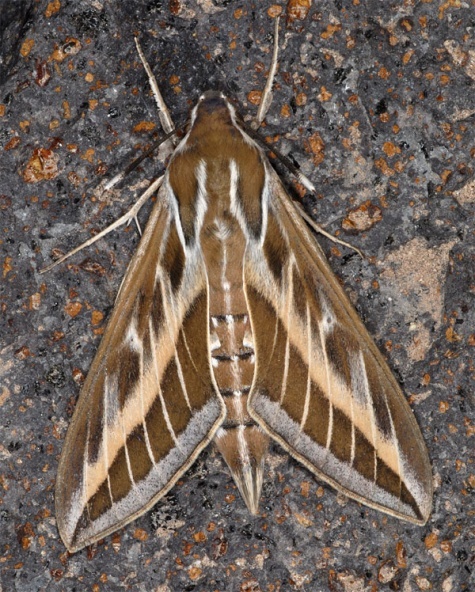 Hyles livornica can be found also in all other open habitats while migrating. 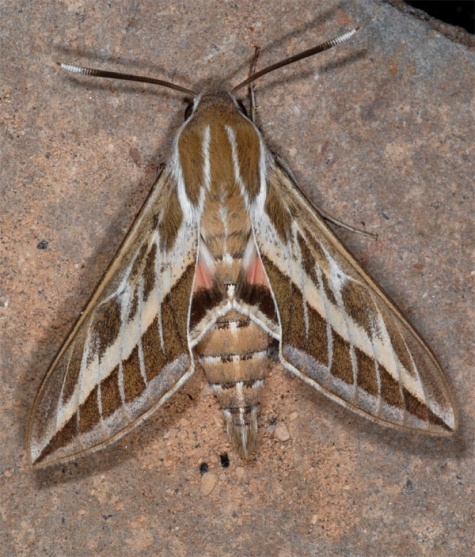 In North Africa, Hyles livornica is mainly flying from the end of January to November, especially in February/March and again in May. 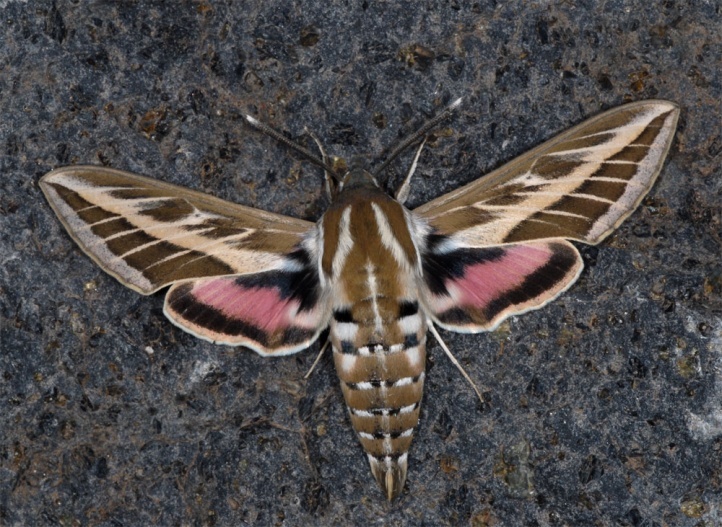 In summer, adults can be observed here sparser. 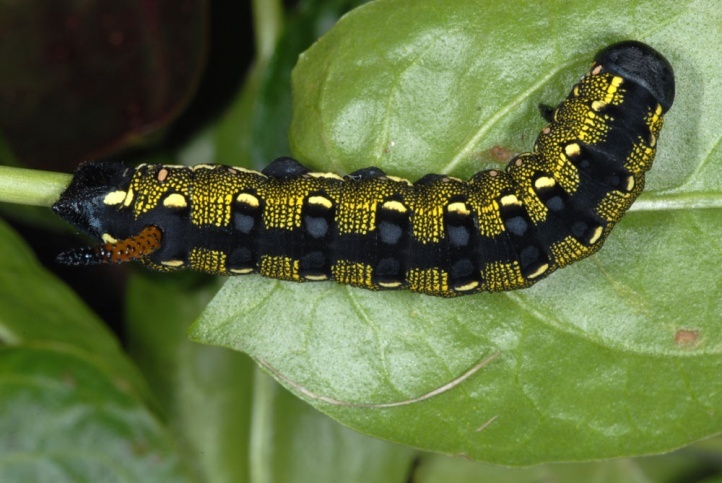 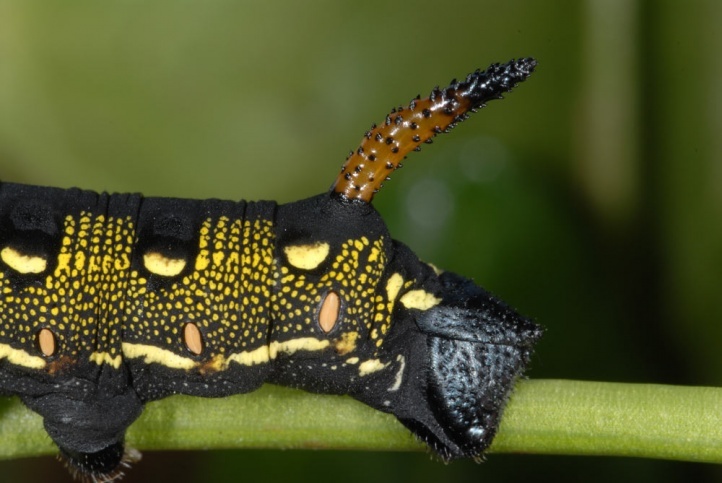 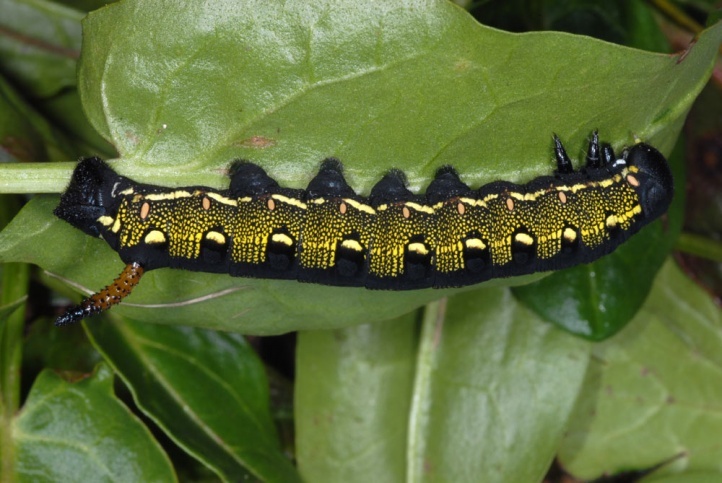 The caterpillars can be found from February, more rarely also earlier (strongly depending on rain). 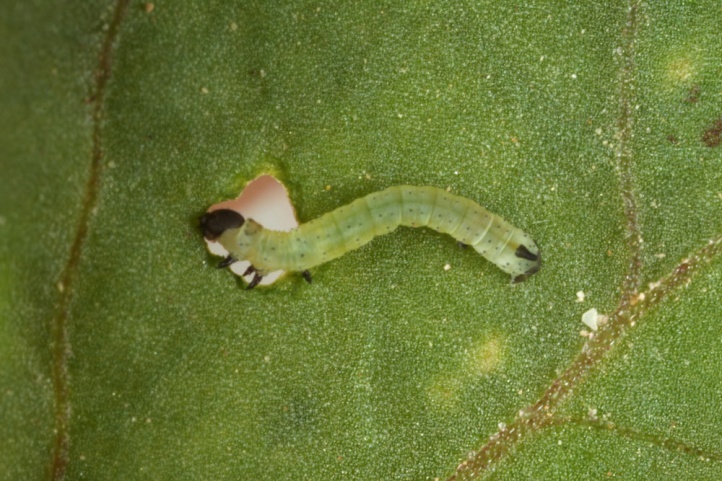 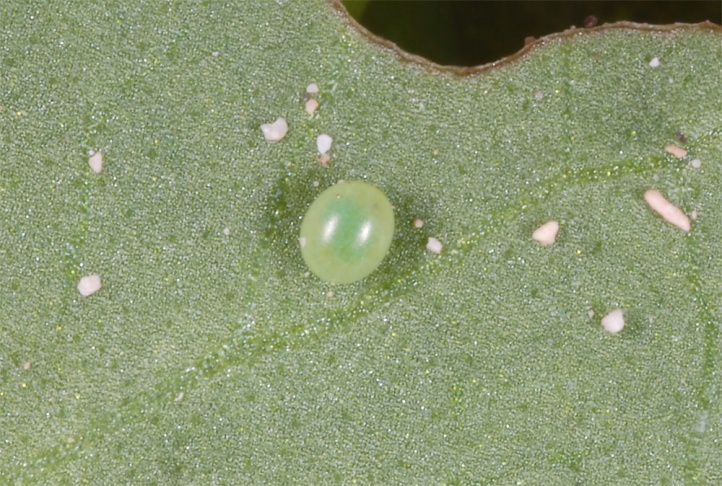 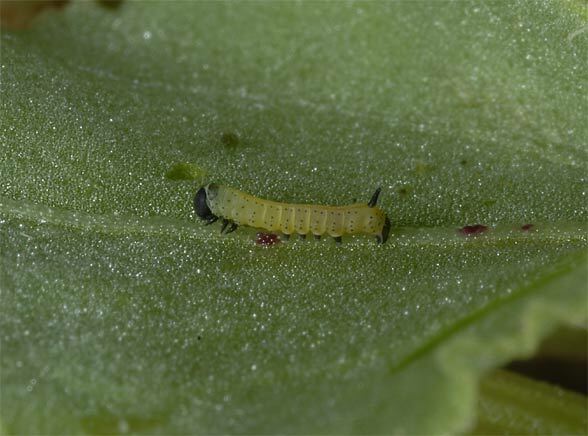 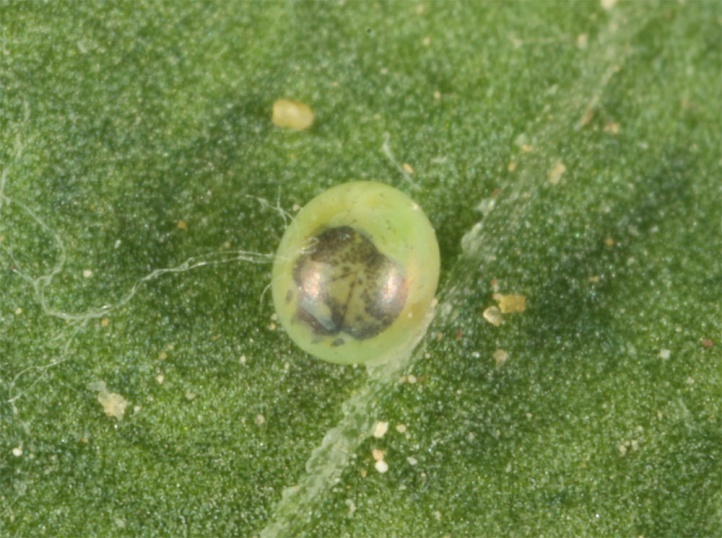 I found eggs in mid February 2007 in Fuerteventura together with eggs and larvae of Hippotion celerio on leaf undersides of Rumex vesicarius. 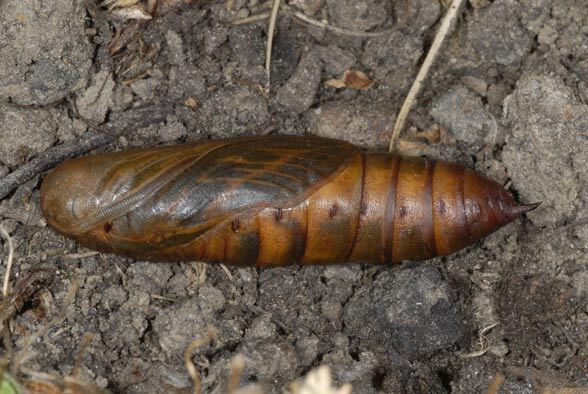 The resulting adults then hatch from mid-April and migrate partially to the north with favourable weather conditions (winds). 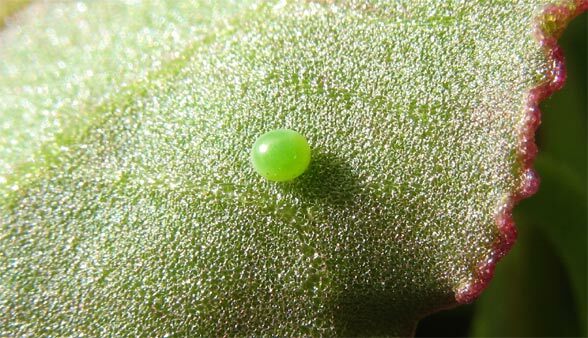 They can reach even Germany in significant numbers in some years such as 2003. 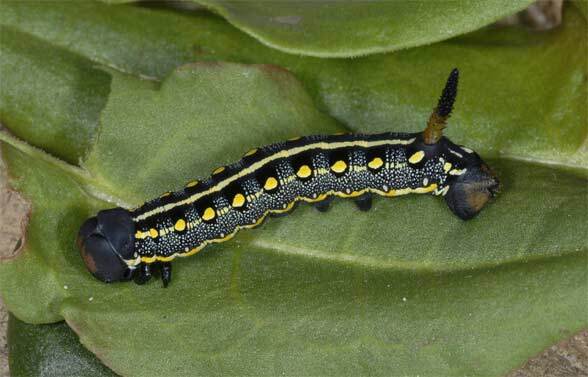 The offspring emerges in Central Europe from mid-July and usually is more numerous than the immigrants. 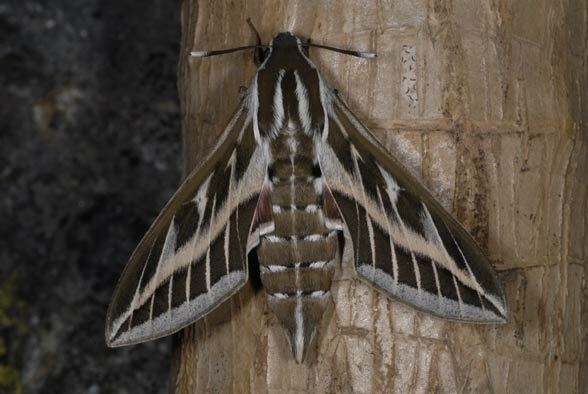 Hyles livornica is a migrant butterfly, which is native in Europe only in the southernmost coastal areas and islands of the Mediterranean (e.g. 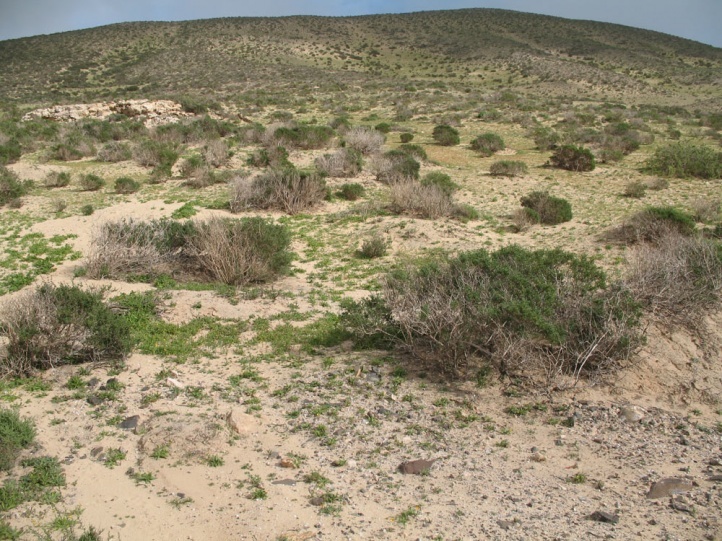 Sardinia), but migrates more or less regularly further north. 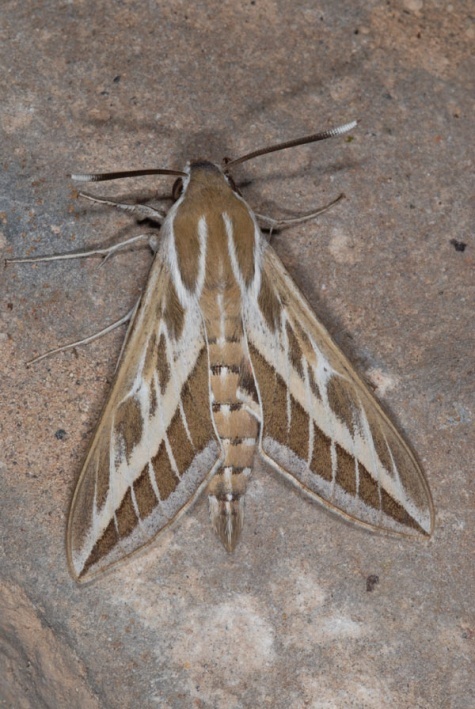 But the moths reach Central Europe much rarer and more irregular than is the case with Herse convolvuli. 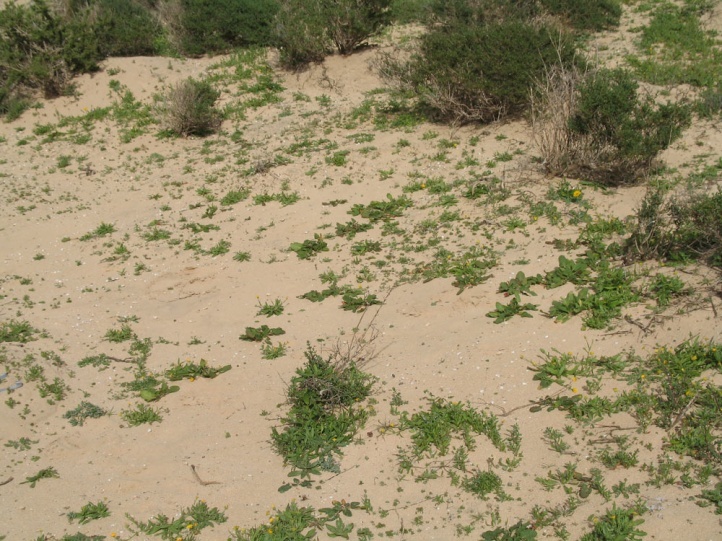 Main distribution regions are the tropics and subtropics of Africa and Asia. 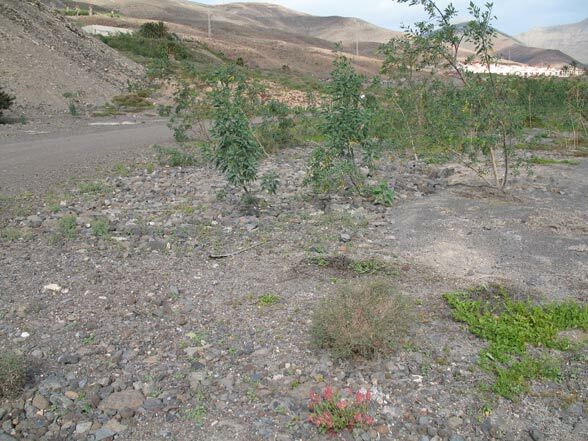 In the Canaries, Hyles livornica is occurring permanently probably only on the eastern islands from Gran Canaria, but is an regular immigrant to the west (very common for example in winter/spring 2012/2013 in La Palma and La Gomera and supposedly also on the other islands). 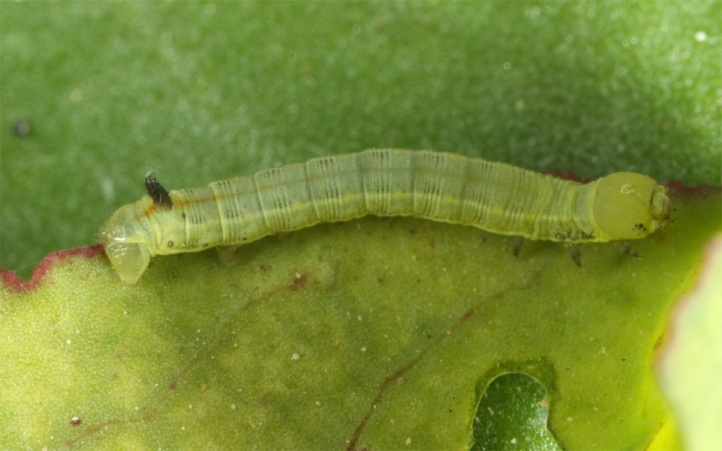 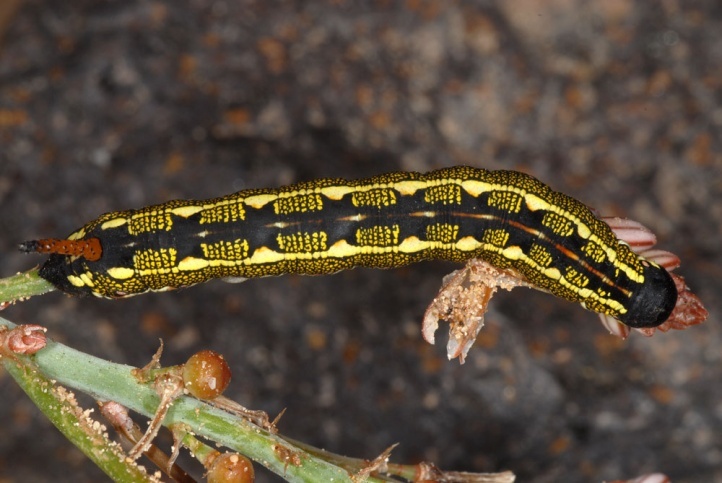 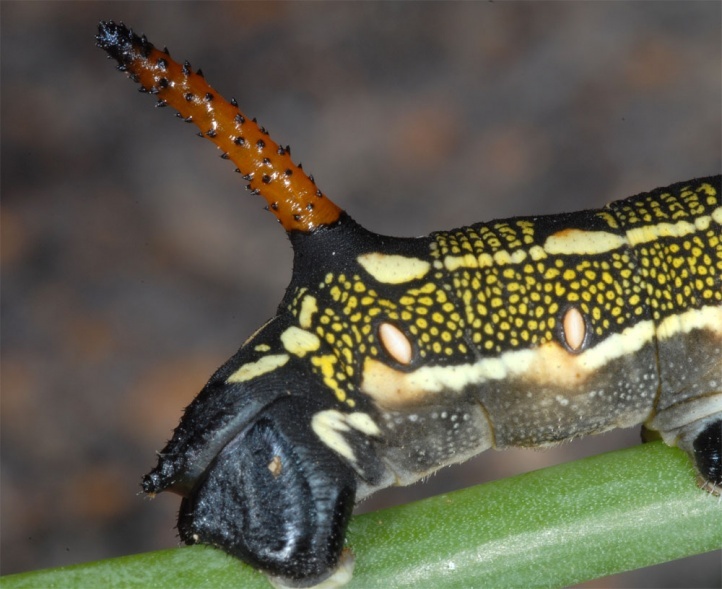 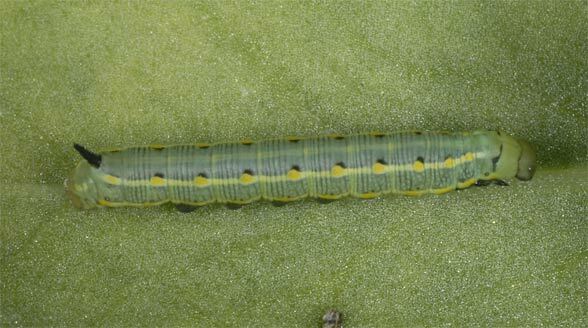 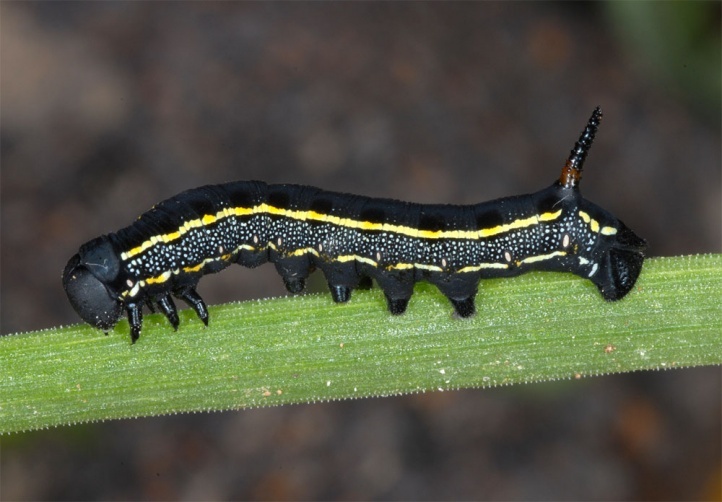 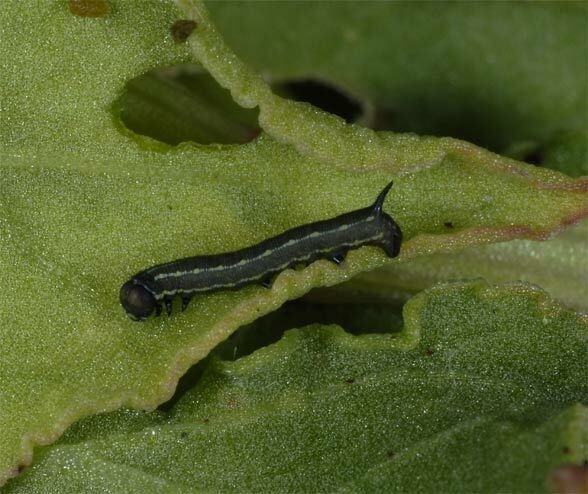 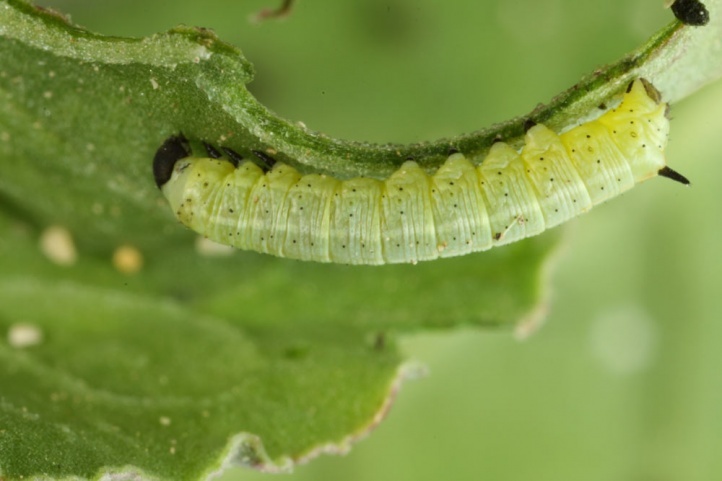 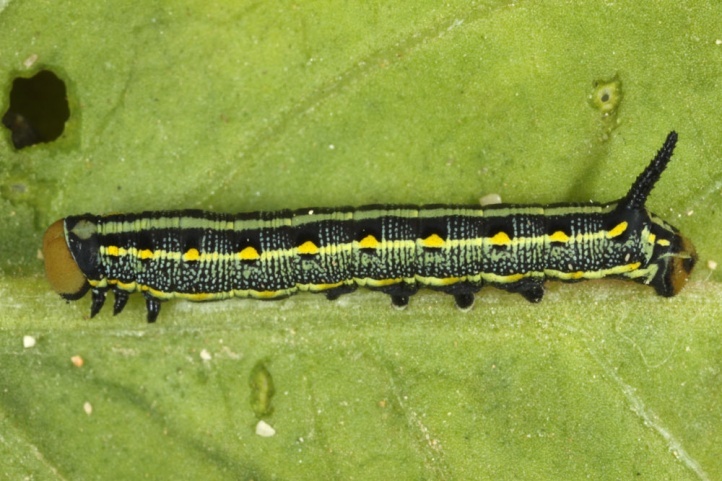 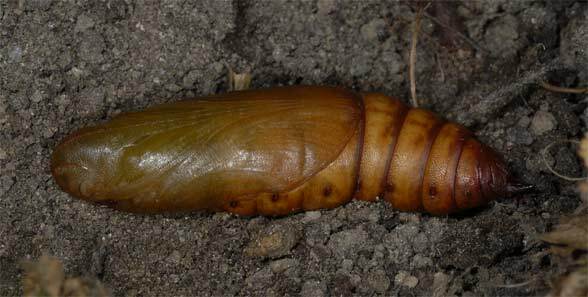 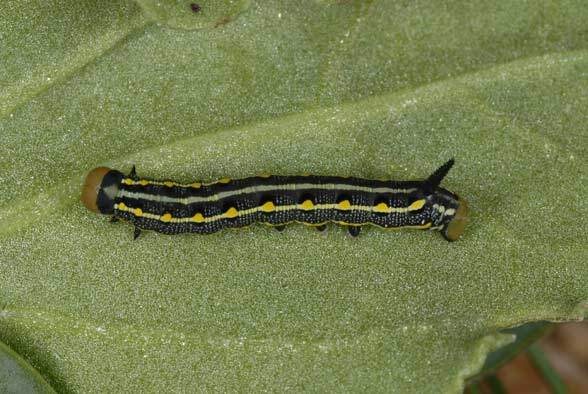 The larvae are mostly dark in the winter and early spring. 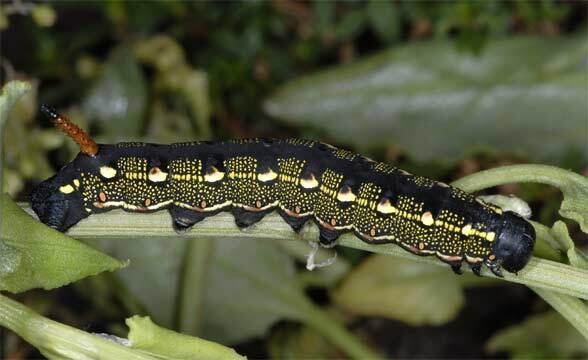 Later on, they seem to be lighter, especially when there is additionally more luxurant growth of plants (camouflage and passive sun-thermoregulation). 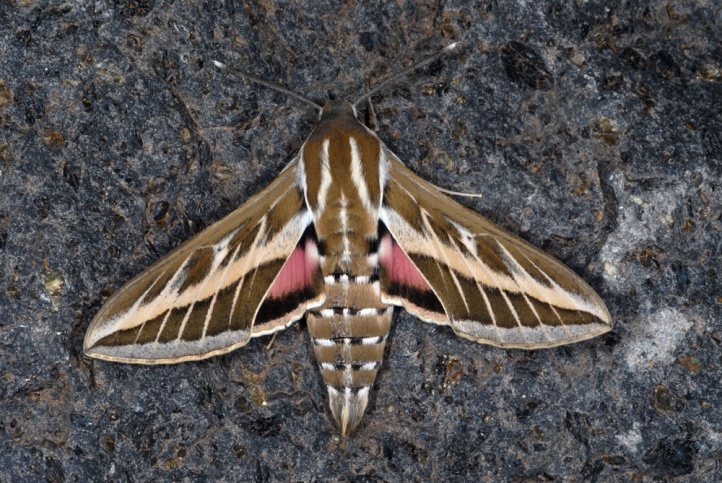 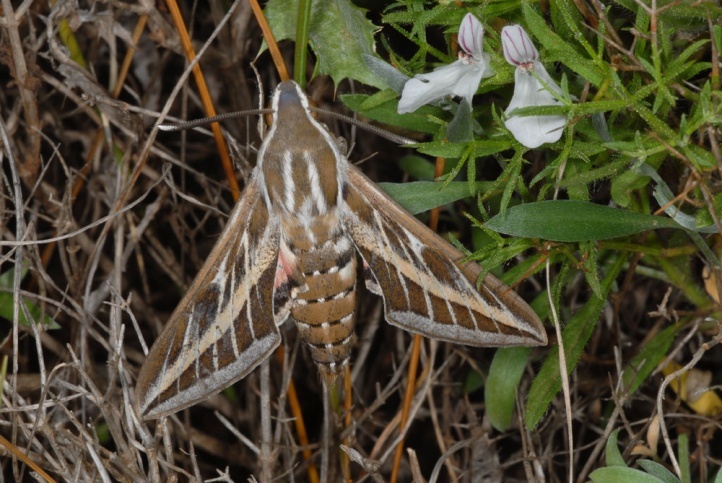 The Australian and American lined sphinx are now considered to be different species (Hyles lineata in America).